I am thrilled to offer to all my clients this amazing technique to help remove negative beliefs held in our subconscious. Using EFT (emotional freedom technique) has helped me to break free from blocks to my own health, happiness and prosperity. Using Matrix Reimprintint takes it to a whole other amazing level! We now have the opportunity to clear blocks faster and with less emotional turmoil. Gentle and effective, Matrix Reimprinting is the best way yet to heal from past traumas and replace learned negative beliefs with new empowered truths. “We all have past life and childhood programming that shape and mold who we are today. Unlocking and shaking those old paradigms loose is key to expanding into new possibilities and stepping into our true power. I’m pretty seasoned with therapy, meditation and many other avenues of releasing old constructs, but when Cat worked with me and did the Matrix Reimprinting with EFT, it was the most powerful and healthy release I’ve ever experienced. It’s EFT tapping brought to the next level. Instantly my point of view about myself and the others in the situation was different, better, and lighter. The fear, anxiety and pain softened and dissipated with ease. 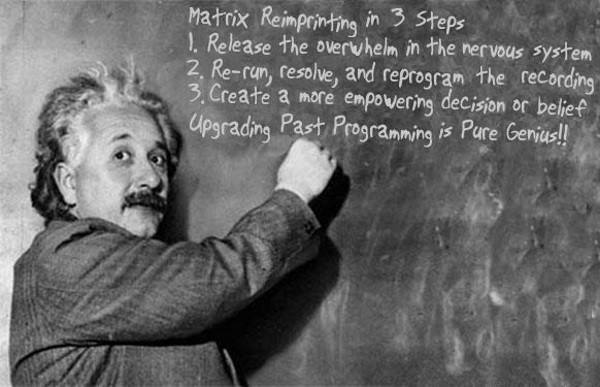 Since our Matrix Reimprinting sessions, all my relationships have improved, and now more than ever anything is possible. It is a powerful technique designed to step out of the constructs that keep us from being the amazing beings we are.